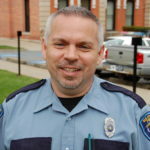 The UMWA represents several hundred correctional officers in Pennsylvania, working at prisons in Cambria, Clarion, Elk, Fayette, Indiana, Jefferson, Somerset and Westmoreland counties. Some of the prisons house 400 or more inmates, some handle less than 75. But in every one of them, dedicated, professional women and men serve behind the walls to keep our communities safe. There are 40,000 assaults by inmates on prison staff every year in the United States. An average of 13 correctional officers are killed on the job every year. This is a travesty that the UMWA is working to fix. Correctional officers deserve support and security in their workplace like anyone else. The UMWA understands the need for safety and support in these dangerous conditions. The Union ensures that these men and women are no longer the forgotten part of the prison system, but instead that their safety and security is put in the forefront of the politcians who make the final decisions about spending priorities and the safety of our communities. Click here to read Brian Dawe, Executive Director of ACOIN, and Attorney John Dacey's challenge to end private for-profit prisons, and how you can help in their fight. Are you a correctional officer looking for a safer work environment with a fair wage? If you would like to learn about the benefits of being a UMWA member, click the link below. To speak to a UMWA representative, click here to find the Regional office closest to you.